S.3978 (Savino)/A.273 (Rosenthal) raises the legal age to buy tobacco products from 18 to 21. Bill proponents contend that passing the measure will prevent those under 21 from ever starting to smoke tobacco products. Advocates should remember that those under the age of 21 already largely understand the health risks associated with smoking. Warning labels have been printed on a pack of cigarettes since Congress passed the law in 1965. Cigarette advertising on television and radio has been banned since 1970. Today, it is far more common to see advertising highlighting the risks of tobacco use, rather than a promotion of the product. This educational component has had significant success. Yet, tobacco remains a legal substance that governments tax under the guise of public health. The City of New York raised the legal age to purchase tobacco to age 21, and increased the tax on tobacco products purportedly to serve as a deterrent to tobacco use. The result was that many cigarettes sold in New York City are now sold on the black market—avoiding the taxes altogether and funding criminal and terrorist activity. We live in a country that values its freedoms. At 18, a person can get married in 48 states, work full time, apply for credit, pawn items, serve on jury duty, face criminal conviction, vote—and even be elected to most local offices including the State Senate and State Assembly. 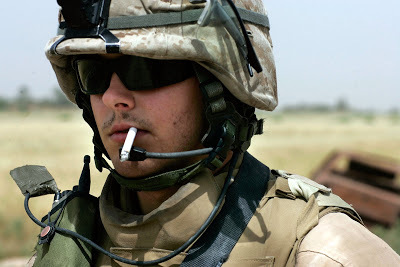 If an 18-year-old can be called upon to give his life for his country, he or she should be able to buy a pack of cigarettes. We can all agree, smoking isn’t the best choice one can make, but it should still be the individual’s choice to make. The Conservative Party urges a NO vote on this bill.